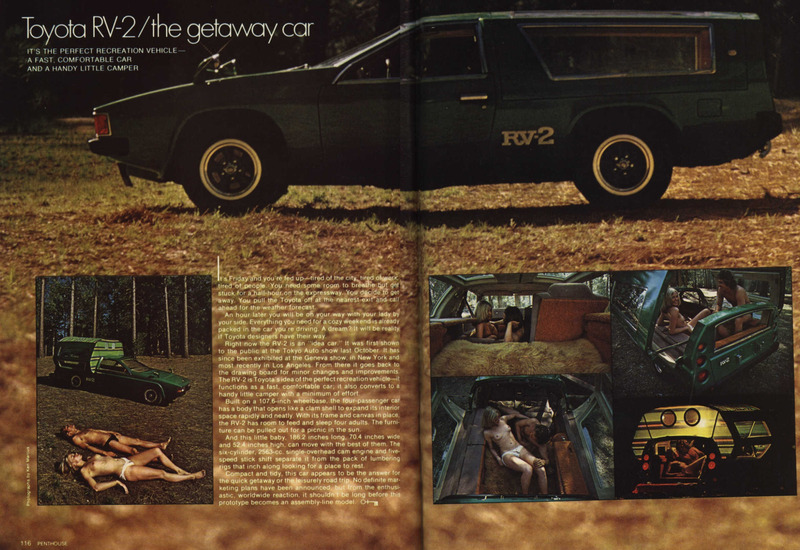 What RV slept four, featured a 130 hp engine, was once described by Popular Mechanics magazine as a “jazzy station wagon” and was depicted in Penthouse as the ultimate shag wagon? (See their original NSFW (!) review of the RV2 here.) 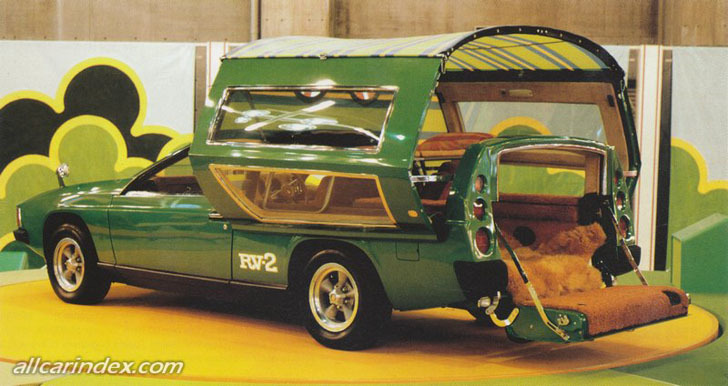 If you guessed the 1972 prototype Toyota RV2, you’d be right! 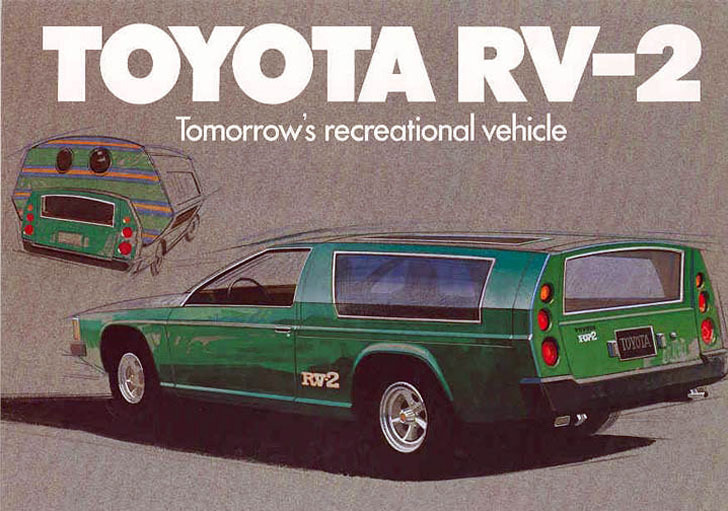 Brochure art for the Toyota RV 2. This little sporty green beauty quickly morphed from sports wagon to tent camper, and had room for four – plus a spacious dining mode…not to mention, enough shag carpet to choke a horse. 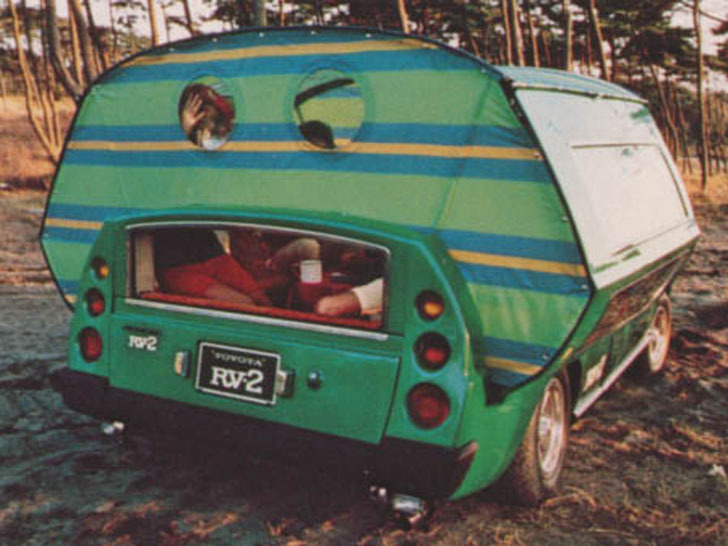 The sporty RV at the beach. 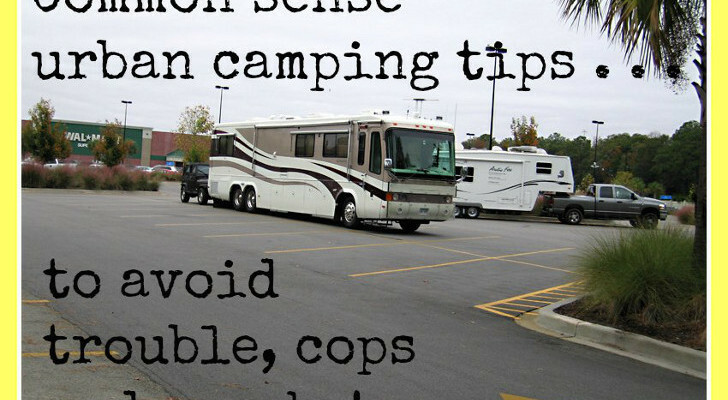 The camper mode of this vehicle opened up in the rear, starting right behind the two passenger doors. The roof split down the middle and swung out on hinges at waist height, so that the large roof windows became the walls of the camper. 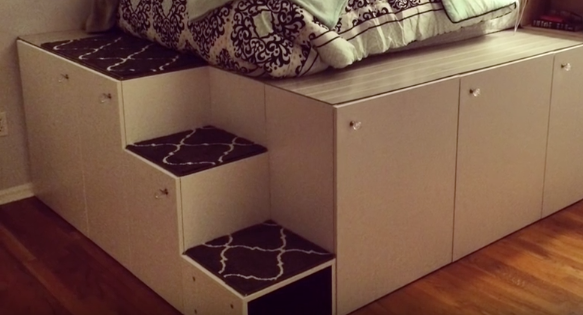 The roof opening up to make bed space in the rear. 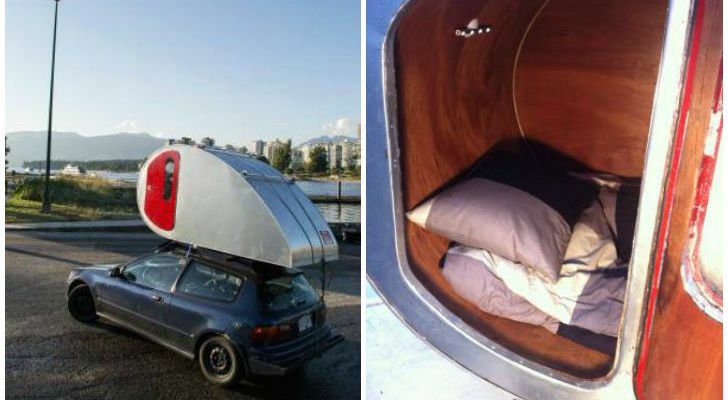 For nice weather, the RV2 was designed to be used “open air” and a super groovy striped tent, complete with two round port holes over the cockpit, could be added to protect campers from the elements. 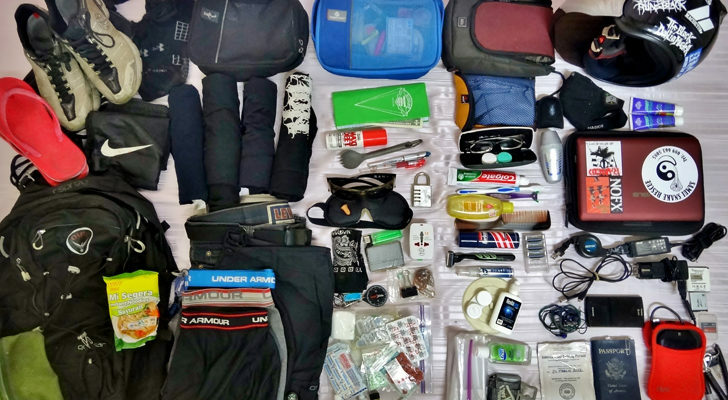 Top view of the RV 2 in “open air” camping mode. ’70s themed attachable striped tent for inclement weather protection. 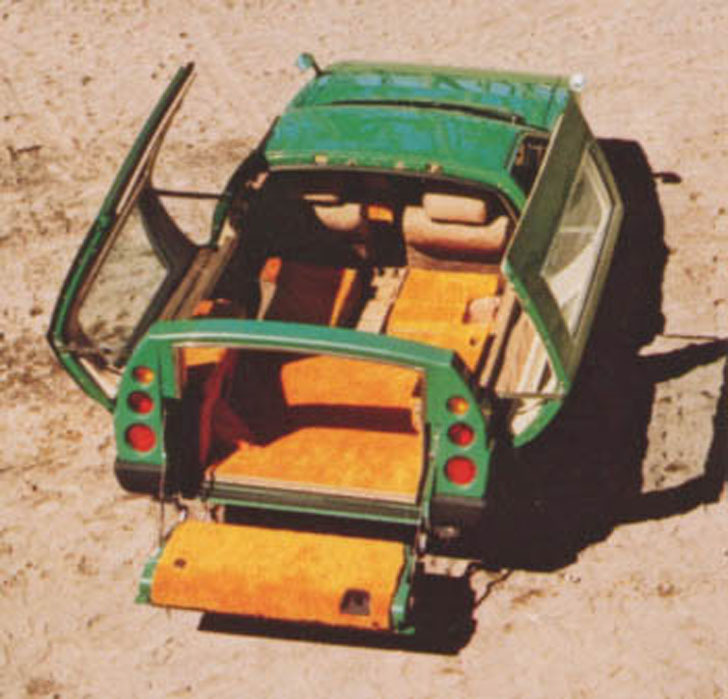 The rear section, which could be used for hauling whatever would fit in vehicle mode, had seats that folded down to provide sleeping space for two adults. The rear tailgate dropped down for easy access. The rear tailgate featured a crank down window and dropped down to provide easy access from the rear. 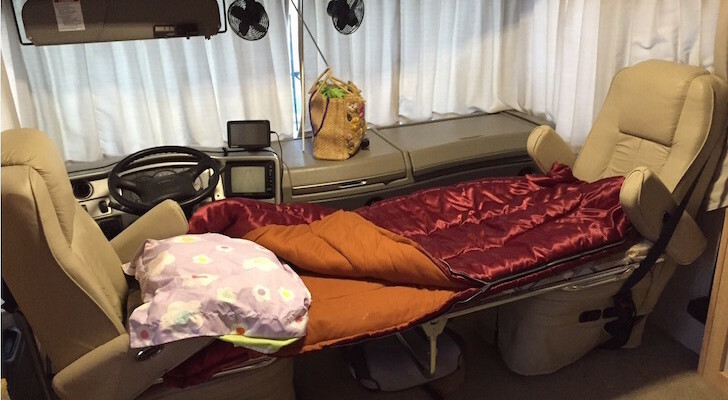 The passenger and driver’s seats both folded flat to provide sleeping accommodations for two more adults. 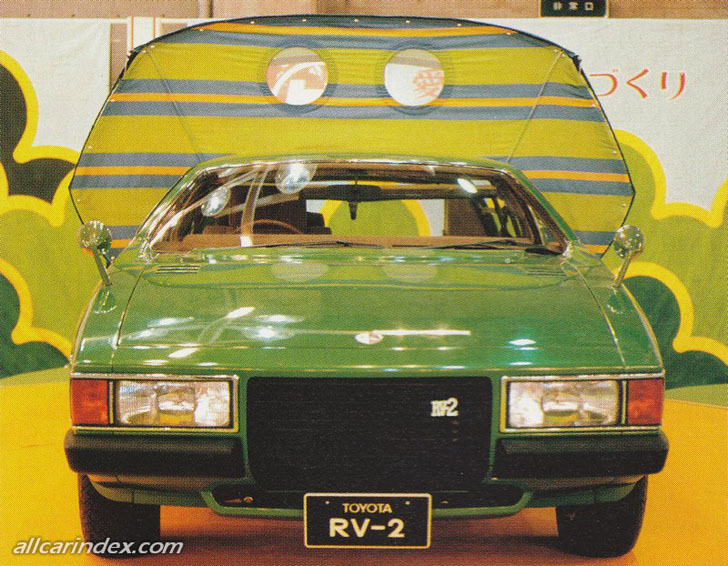 The square head lamps and “corners only” front bumper provided up-to-date styling that vaguely foreshadowed the Corollas and other sporty Toyotas that were yet to come. Unfortunately, even with the super sketchy resume credit of having been featured in a Penthouse photo shoot, the RV2 was not to be. 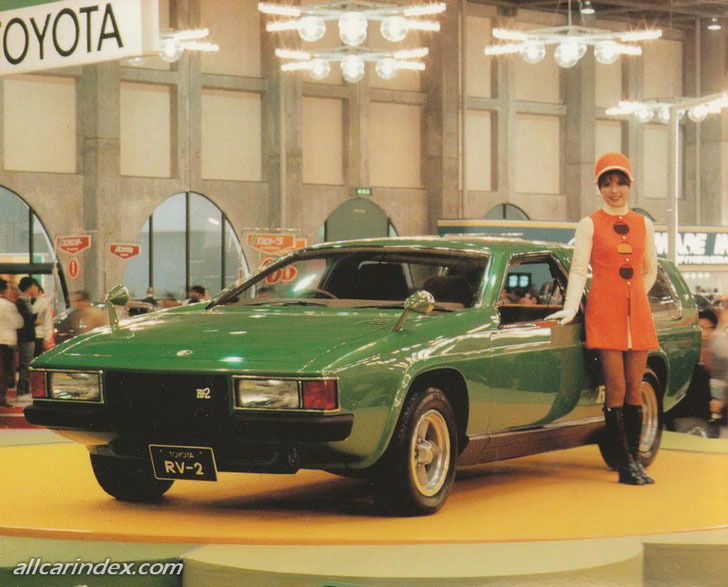 Still, a full working prototype was shown at the 1972 Tokyo motor show, followed by its “review” in the adult magazine the next August. 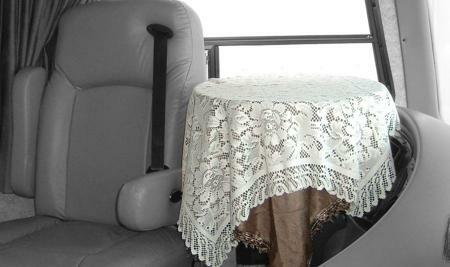 RV2 Cockpit with seats folded for sleeping. Note the European steering setup. Toyota must have felt confident it would make it to production. 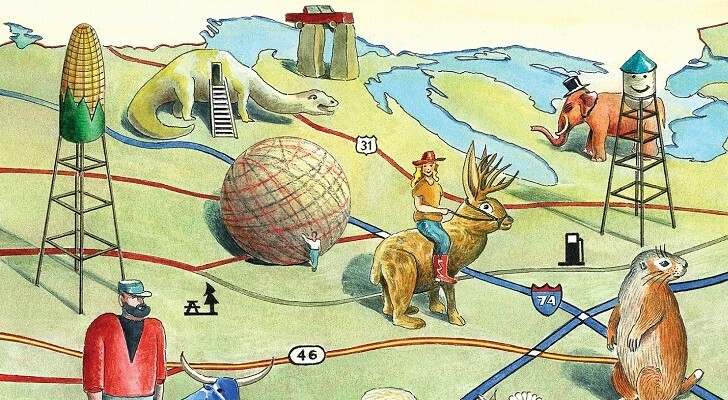 They designed and printed full color brochures to gauge interest in the American market, which had sketches of the steering wheel on the left hand side. 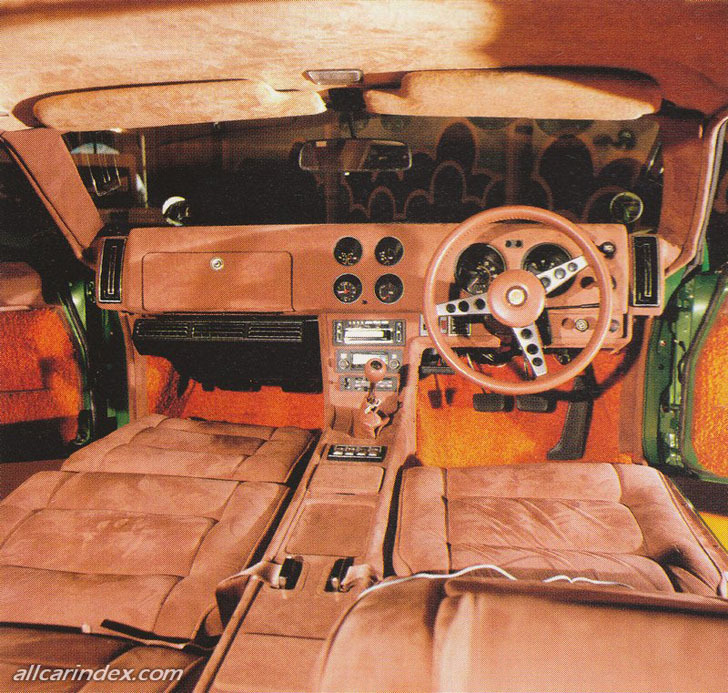 Meanwhile, all the photos had to be cropped to hide the steering, which was on the right in the prototype. It’s really too bad. I’m fairly certain that had it made it to production, we all would have fond memories of a Brady Bunch episode featuring Greg Brady as a would-be purchaser of this totally shag-a-delic RV!